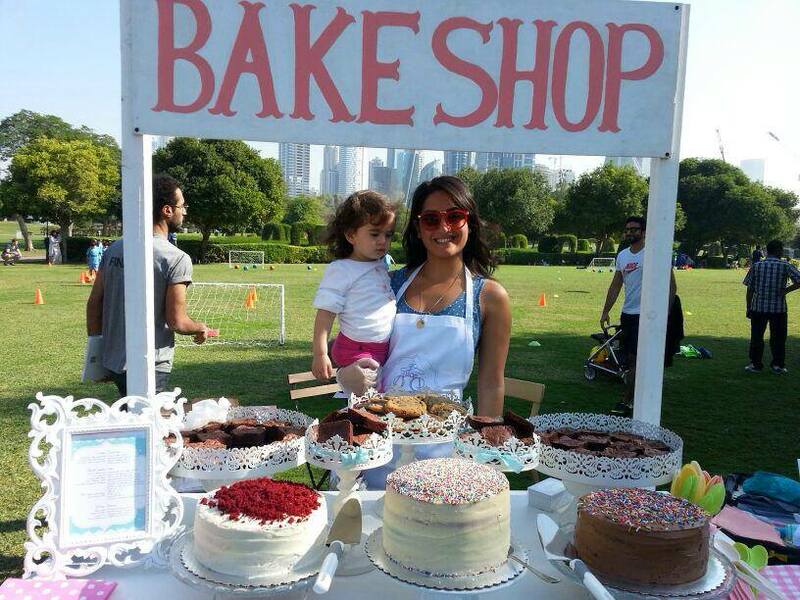 Dulce D is an out of home bakery that provides Dubai’s residents with delicious cakes and desserts that can be customized for all occasions. What I love most about Dulce D is the added effort put into making all baked treats too pretty to eat. Beautiful looking desserts, full of detail, are always harder to make, but Deema Dajani does a great job in making sure her treats are nothing but delicious and pleasing to the eyes! This week, we chose to highlight the inspirational story behind Dulce D and also an inside look into Deema Dajani’s most memorable Dubai experience. I was working as a consultant at PricewaterhouseCoopers when I first moved to Dubai. Although I enjoyed working on interesting projects and had wonderful colleagues, I didn’t like being cooped up in an office all day long. I decided to take a risk and try turning my lifelong hobby of baking into a business. Dulce D was born in late 2012. I love providing my customers with their favorite desserts from childhood. My best sellers this year have been: chocolate cake, date cake, chocolate chip cookies and Nutella Brownies. I truly enjoy working with my customers to design exceptional cakes for their special events. What do you love most about Dubai? I love that Dubai is cosmopolitan and urban, yet also has a laid-back beach vibe. It was a magical night filled with love, laughter, friends and family. Our guests flew in from all over the world to celebrate with us. Lots and lots of dancing! We picked Jumeirah Beach Hotel because we needed a venue large enough to host all of our guests and it’s location on Jumeirah Beach Road was ideal. Our wedding planner, Rayan Raad from Chic Alors, was instrumental in designing our white winter wonderland theme. What you loved most about the experience: The evening was filled with positive energy and the setting exuded romance. Everyone had a blast and I don’t think we sat down for more than 5 minutes. Posted in #HomegrownLeaders and tagged #HomegrownLeaders, Deema Dajani, Dulce D, The Scoop DXB. Bookmark the permalink. Weekdays Deserve Some Love Too!